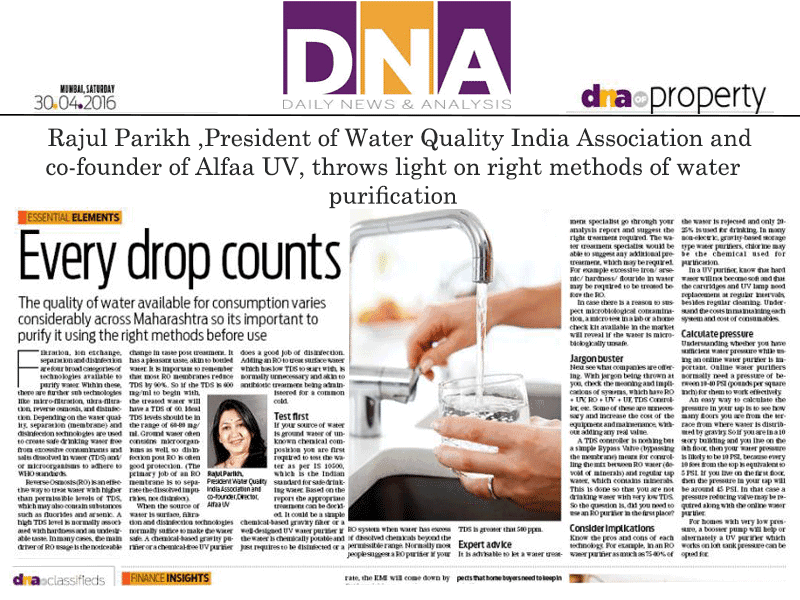 Rajul Parikh, co-founder & Director-Sales & Marketing, of Alfaa UV has contributed towards making the company a market leader in UV technology and India’s first ISO 9001 certified water purification company. She has played a key role in the development and implementation of marketing strategy, HR strategy and brand communication at Alfaa UV. In this interview, she talks about the growth of the company and issues related to water purification technology. Parikh has been involved in social projects of water and sanitation and is also the Vice President of the Water Quality India Association. Alfaa UV holds the distinction of being the leading manufacturer of stainless steel UV water purification systems in India. The company’s world class manufacturing facility at Talegaon, Maharashtra produces the entire range of water and air purification products catering to the residential, commercial, and industrial markets. 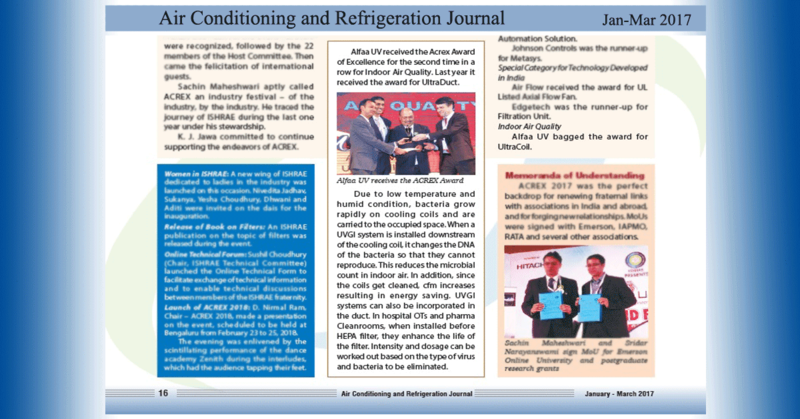 Tell us about Alfaa UV’s growth over the years? 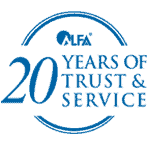 Alfaa UV is a company dedicated to water purification and treatment, primarily using UV technology. It is the only company in India to manufacture UV purification systems for residential, commercial, industrial and municipal segments. It has established a reputation for being the UV expert. UV applications cover drinking water, process water and waste water disinfection. Recently, UV technology is being applied to air purification, and Alfaa has made a good beginning in this area. Applying UV to newer applications has been one of Alfaa’s core strengths. A state of the art manufacturing facility at Talegaon, Maharashtra. This enables Alfaa to produce high quality products both for domestic and the export markets. 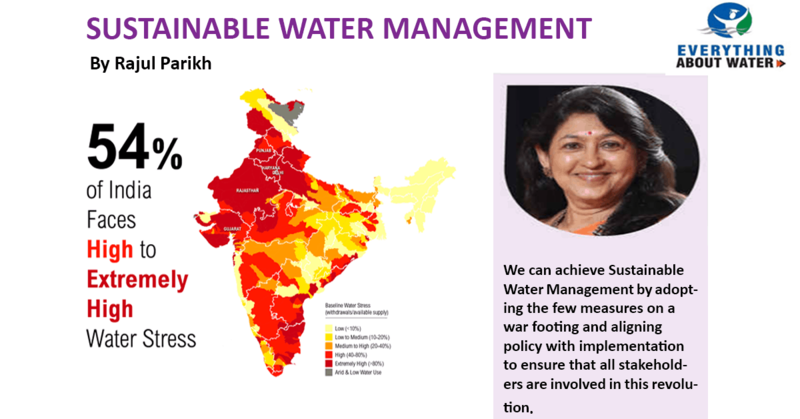 What are the main problems regarding water (industrial use) in India? What steps can be taken to improve quality of supply in view of heavily polluted and contaminated ground water? Water consumption is increasing due to increase in demand. To make matters worse, ground and surface water pollution is a mammoth problem facing our country. According to estimates, over 60 percent of groundwater and 80 percent of surface water is polluted. To quote a FICCI report, “surface water is the major source of water for industries (41%) followed by groundwater (35%) and municipal water (24%)”. This is bound to have an impact on the industrial process. Industries that use water for their manufacturing process have to treat raw water supplies before use. The treatment process depends on the quality of water, inherent contaminants, and application. What is the technology used by the company to provide safe water for customers, especially the F&B industry? Ultraviolet (UV) light is a potent technology that has been successfully deployed for decades in many diverse industries ranging from pharmaceutical, food & beverage, cosmetics, health care and aquaculture. The use of UV technology for water treatment has many advantages. UV radiation does not add anything to the water (such as unwanted colour, odour, chemicals, taste). Neither does it generate harmful by products. At the same time it is fast, effective, and efficient, leaving no residues. What are the uses/advantages of using UV technology in F&B industry? In the F&B industry, properly designed UV systems can be used for various applications such as disinfection of water, surface disinfection of produce, ozone destruction and chlorine destruction. Disinfection is the most common application of UV radiation in water treatment. There are several locations within a food / beverage water system where UV equipment could be installed for disinfection. The typical locations are post-carbon filter, pre / post-storage tank, pre-RO, within the polishing loop, etc. In recent times, the use of a UV system just before the RO has become very popular. As this greatly reduces the bio-film build up on the membrane resulting in increased membrane life of more than 50 percent. Liquid Sweetener Disinfection is also critical for the industry. Concentrated syrups have a high osmotic pressure which prevents micro-organisms growing and reproducing. However they will survive in spore form and grow once the syrup is diluted into the food product or beverage. This microbial growth can cause food discoloration, affect the flavours, and shorten shelf life. Thus, for the beverage industry in particular, the disinfection of liquid sweetener is very crucial. Since the UV transmission characteristic of such liquids is very low, specially designed UV systems are required for treating such streams. These systems use high output UV lamps which are packed much closer together to ensure proper UV dose distribution. UV radiation has successfully been proven to destroy residual chlorine present in water. It has been found that up to 1.0 ppm of chlorine can be completely destroyed by using high doses of UV. The exact UV dosage will depend on the chlorine concentration and the feed water quality. Compared to conventional methods such as activated carbon beds or chemicals such as sodium meta-bisulfite . UV can be used to destroy the chlorine and eliminate the need for chemical handling, bacteria problems. Ozone is commonly used as an in-line sanitising agent in the beverage industry. It ensures that the storage tanks, piping, pumps and valves remain bacteria free. However, this residual ozone needs to be completely destroyed before this water can be used in the end product. In such cases, UV technology is the proven method of choice as it is an instant reaction and does not involve using any chemicals. Waste water management is yet another crucial environmental issue that is plaguing the country. What are your views on the same? How can Indian industry play a more pro-active role in this regard? The National River Conservation Directorate has recently updated their norms for wastewater treatment which has significantly improved them as compared to previous standards. However, it is still weak as compared to international best practices. While these norms exist for wastewater treatment and discharge, India has yet to come up with a unified norm for wastewater recycling, which is a huge requirement. Even more dangerous, is that most norms that exist only address the physical and chemical parameters in the water . But are weak on the microbiological front. If not adequately disinfected, this wastewater containing dangerous organisms can spread disease and lead to outbreaks such as gastro. Indian industry can adopt a more responsible attitude in general while discharging waste water into water bodies or sewers to reduce contamination of surface and ground water. Investment in waste water treatment technologies and adherence to regulations will help address the issue. 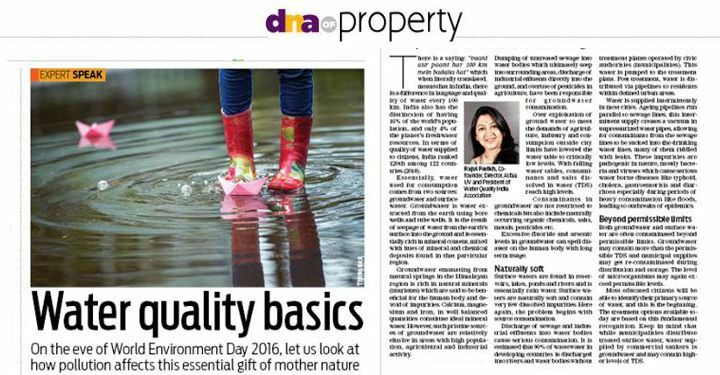 Being recognised as an environmentally conscious player can build credibility amongst consumers and enhance brand value. Companies in the food and beverage space have already started taking the lead in such initiatives in an attempt to be recognised as true leaders. What is the concept of Zero Liquid Discharge? ZLD (Zero Liquid Discharge) is being talked about more frequently in the manufacturing industry where wastewater is produced. This is mostly inspired by a larger “Green” or sustainable initiative, which companies are incorporating into their mission statements and corporate objectives. ZLD systems employ the most advanced wastewater treatment technologies to purify and recycle virtually all of the wastewater produced. In a nutshell, the end goal of ZLD is to eliminate (to the extent feasible) the discharge or disposal of liquid waste from a facility, wherein no wastewater gets discharged to surface water bodies. What are the company’s future growth plans? Where do you see the company a decade from now? The world is experiencing water shortages in the wake of increasing demand. Developing countries such as India are growing rapidly, increasing the pressure on food production, housing and employment. There is growing awareness that water is a finite resource. Water pollution is increasing every day. 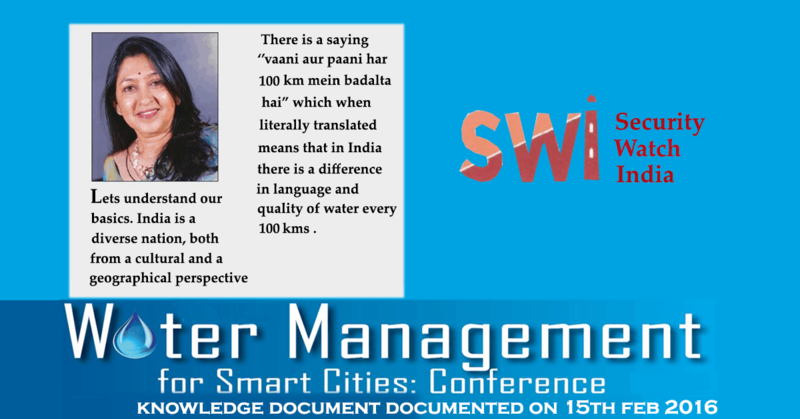 Therefore, water management is becoming an important factor in all planning initiatives. Water conservation, water treatment and water recycling are all important steps in tackling these concerns. With government regulations getting tighter and fresh water becoming scarcer, the need to recycle and reuse water will grow rapidly. Disinfection of waste water will therefore become imperative. In such a scenario, UV technology will play a crucial role and due to its environment friendly properties will gradually become the preferred choice of disinfection. 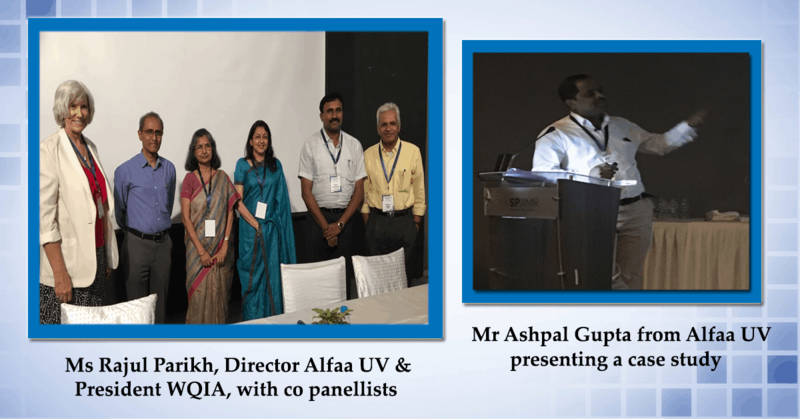 Alfaa UV, currently the leader in industrial UV systems in India and an exporter of UV systems sees itself making a larger contribution to the cause of water management in the years to come.